is the President of Perimeter Search Group and the Managing Partner of Talent Consulting, Inc. He is a recognized expert in talent. He believes talent is a competitive advantage with a specific ROI. Tom set up and ran a best in class world-wide marketing recruitment program for Coca-Cola. He has consulted extensively on talent to world-class Fortune 500 and start-up companies. He runs Perimeter Search Group, a boutique executive search firm specializing in recruiting senior level general management, marketing, sales, and operations talent. Tom has advised and/or recruited for Blue Chip, as well as private equity and venture backed companies. Prior to this, he ran marketing for a billion-dollar division of Coca-Cola and was a Competitive Strategy Leader. Tom holds a PhD from MIT and an MBA from Harvard. Tom is currently Co-chair for the Harvard Business School Alumni New Venture Contest for the Southeast, which is a global contest for startups. Tom is also the best-selling author of several books, including: 1600 Perfect Score, The Insider's Guide to the Top Ten Business Schools, Barron's Top 50, and The Insider's Guide to the Top 20 Careers in Business and Management. 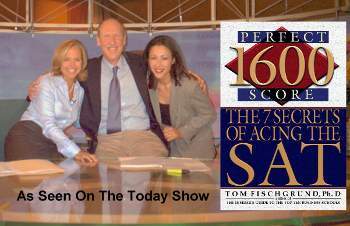 For his last book, Tom did a 10-city media tour with an appearance on the Today Show.